All-wheel drive is important to many drivers, especially when the cold weather hits and the snow begins to fall. Making sure you have the most traction and the best handling is vital when it comes to safety and security. 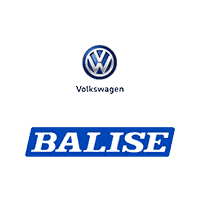 Here at Balise Volkswagen, we know that it is important for you to have as much information as possible. Even if you haven’t driven a vehicle with four-wheel drive before this is a good place to learn some important information about 4MOTION, the four-wheel drive system Volkswagen vehicles use, and the vehicles that have this feature. What Is 4MOTION and How Does It Work? Put simply, 4MOTION is a permanent four-wheel drive system which is installed in select Volkswagen models. These systems provide the driver with more versatility, handling, and security on the road – especially in less than optimal weather situations. Moreover, the 4MOTION system provides reliable traction on virtually all surfaces, and maintains stability when you most need it. What’s most important to understand about 4MOTION technology is how it grips the road and helps give you the most traction possible. Especially on those mornings where snow and ice are thick on the roads in West Warwick, you will need technology that allows you to keep driving without concern for safety. Additionally, 4MOTION technology can be combined with other dynamic control systems, like traction control, electronic stabilization program, engine drag torque control, and electronic differential lock. This means that you will have the best traction available, allowing for the safest travel ever. 4MOTION technology comes standard on certain Volkswagen models. Volkswagen Touareg: The Touareg comes with 4MOTION all-wheel drive technology, on top of providing a seating capacity of up to five people, and an eight speed automatic transmission, this vehicle really does have it all, providing both the security and space for you and your family. Volkswagen Tiguan: The Tiguan combines better handling, utilizing 4MOTION technology, with the standard 184 horsepower engine and 221 pound-foot torque, which allows you to power through the elements when you need to get somewhere and Mother Nature doesn’t want to cooperate. Volkswagen Golf R: The Golf R is the hatchback that can. 4MOTION technology comes standard, along with some incredible high performance features and a sleek exterior design. This is perfect for those looking for a vehicle with some great modern features and overall reliability. Volkswagen Golf Alltrack: In the Golf Alltrack you can pursue adventure off-the-beaten path. Not only is this vehicle equipped with 4MOTION, but also an Off-Road Model to optimized traction control and Hill Descent Control to help aid the application of your brakes down steep inclines. Volkswagen Golf SportWagen: The Golf SportWagen is truly in a category of its own, combining the maneuverability and sleek styling of a car with the versatility and cargo space of an SUV. This sportier utility vehicle comes with the added assurance of 4MOTION. Volkswagen CC: The Volkswagen CC combines luxury and stability in a gorgeous, stylish design. 4MOTION technology can be found in the CC V6 4MOTION Executive model. Volkswagen Atlas: Available 4MOTION technology in the Atlas allows for the power, heft, and stability needed to traverse the slick and snow-covered roads. Which Volkswagen models have available 4MOTION? 4MOTION is an all-wheel drive technology utilized by select Volkswagen models. They provide an added amount of security and stability on the road, making sure you can gain traction in virtually any weather type or road condition. 4MOTION is safer because of it both allows for you to gain greater traction on the road – meaning there is less of a chance of you getting stuck in snow or on ice, slipping on rain-slicked roads, and further – and provides you with greater control over your vehicle so you can get where you need to go without worrying about sliding, fishtailing, or drifting due to weather conditions. If you’re interested in exploring our selection of vehicles, or you would like to learn more about 4MOTION technology, stop by Balise Volkswagen in West Warwick, RI, and our friendly team of professionals will answer any questions you have and help set up a test drive.